Gamer in Chief in just 11 Days! 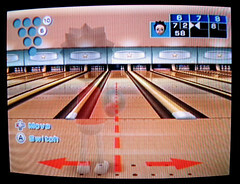 Joystiq has a neat piece today about the First Family-to-be’s Wii New at Christmas for the Obama was a brand new Wii that the girls, and their father, have been playing with. So, Mr. President-Elect, if you ever need someone to play video games with, you feel free to call on us, because we can help you out there. Fallout 3′s a little bit creepy, but it is set here in town, so you can probably use that to get familiar with the layout of town. And of course, there’s always Little Big Planet, but for that, you’re going to…wait. I mean, the girls are going to need a PS3. Maybe work that into the Bailout?